The essential wisdom of Jung’s teachings inform many of us today and yet the very word abandonment tends to strike terror into our hearts. Nobody wants to feel abandoned. And although we know from the beautiful poetry of the mystics that the ‘dark night of the soul’ so immortalised by John of the Cross is in fact a beacon to individuation and soul growth, we usually avoid going there. Dark nights of the soul often come upon us unbidden, usually as a result of a life event such as bereavement, loss of a significant relationship or other crisis. In the dark night we feel cut off, disconnected and lost, without direction. And utterly abandoned. Abandonment is not something we seek. And yet it is part of the human condition to feel abandoned from time to time; times where we feel lost or disconnected from both ourselves, others, and ultimately from God or the Divine. Deep in our hearts we are yearning for a lost wholeness - our soul holds a distant memory of boundless love and being part of a great force, of oneness; it also has a sense of having lost this wholeness - and so we feel abandoned. It is our sense of abandonment that constellates our Inner Orphan. The orphan is propelled by a deep need to find home, a home being a place of belonging, or soul group. Indeed the search to belong is so basic in us as to be archetypal. We may not be actual physical orphans in the ‘real’ world but many of us feel that we are psychological or emotional orphans. We may feel that we are not connected to our birth family or to the tribe or culture we have been born into. We feel different, as though we don’t belong somehow. So we have a longing, a longing deep within us to find home, to recover a sense of ‘belonging’. Jungian author Pinkola Estes writes, “Even though we have only heard or seen or dreamt a wondrous wild world that we belonged to once, even though we have not yet or only momentarily touched it, even though we do not identify ourselves as part of it, the memory of it is as a beacon that guides us toward what we belong to”. The essential energy of the Orphan archetype is the search for belonging. Orphan children suffer a great deal, since they cannot find their true home. They feel abandoned and left to find their own way. Like all un-mothered children, their instincts have not been sharpened and nurtured, so that they have to find their way, not through guidance but rather, like the ugly duckling, through trial and error. They have to find their way alone. You do not need to be actually orphaned to be an ugly duckling. If you feel you were not nurtured in your essential self, if you feel not part of your birth family because you are ‘different’, the ugly duckling in you will push you to find your truth. Your inner orphan will propel you on a healing journey to inner wholeness. Because of our innate drive to adapt and conform, our parents’ attempt to mould us and make us what they want us to be will often develop in us a painful set of conflicting emotions. We want to be loved, but we feel rejected for who we are; we feel we cannot gain this love without compromising ourselves. Such a situation is very painful and wounding because, at base, our soul requires different things from us, and we find we cannot live our truth in our family. The pain of not being true to ourselves may eventually drive us out of the nest, like the ugly duckling. In my book Love in a Time of Broken Heart I wrote:“Being the outsider in a family constellates within us the Orphan archetype. It is our Inner Orphan that impels us to find our true spiritual parents and family – a place where we can be ourselves, where our ‘knowing’ is accepted and acknowledged. The Orphan Child looks for his/her true home, where he/she will find nourishment and peace. Searching for, and finding where we belong is a crucial and central part of individuation”. The theme of the exiled or outcast is archetypal and primeval, and forms part of our spiritual journey. The outcast is compelled to find his/her way back home. The trials of the orphan’s journey serve a spiritual purpose. When the outcast or the orphan arrives home he finds he has, like the ugly duckling, grown up. The Ugly Duckling, as a metaphor for the orphan’s journey, is a psychological and spiritual root story. Archetypal and universal, it is about our elemental search for belonging, a sense vital to the spiritual well being of every individual. Without it we are bereft. Healing our inner orphan is recognising our journey from abandonment to a place of belonging as one of healing and spiritual growth. The Ugly Duckling’s journey is also about persistence and endurance in the face of adversity. We can take lessons there; the Ugly Duckling’s trials and hardship can help us in situations where we feel like giving up. His persistence and endurance pay off, and show us that we should never give up on finding where we truly belong. And no matter how lost we are, we also have moments when a knowing comes in to warm us. This, I imagine, is what Jung refers to when he writes about finding the ‘helpful powers of our own nature’ in our loneliness and abandonment. In profound vulnerability, a deeper intelligence comes through - from our own soul. Our abandonment has pushed us into an elemental search for belonging. The Ugly Duckling and the Orphan Child can help us develop the faith we need that we will eventually be united with our own kind. That our abandonment will be healed. In psychological terms this amounts to coming to a sense of belonging to oneself. Individuating: feeling good in your own skin-a sense of spiritual home. 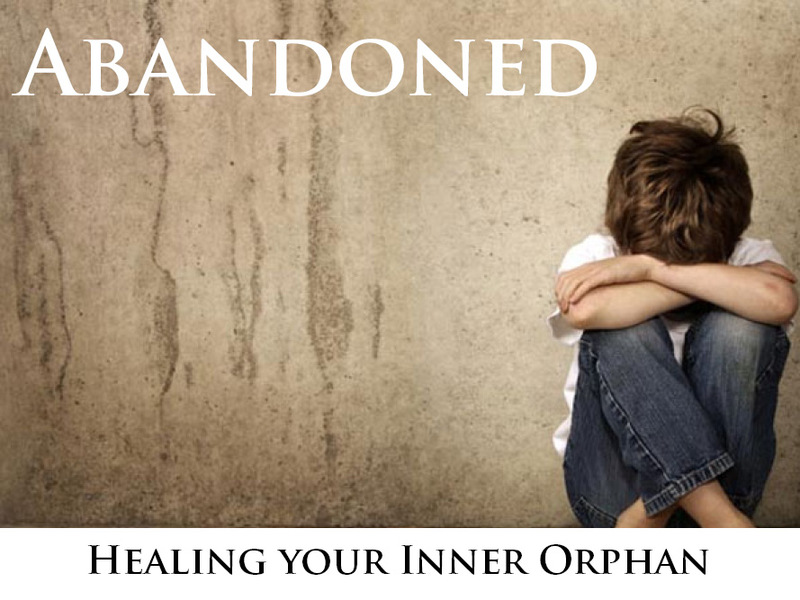 Healing our inner orphan is about consciously engaging with and navigating our journey to wholeness and enduring both the dark night and our abandonment. And surrendering to the process in the knowledge that our soul knows what it needs and is guiding us there. I am reminded of the words of the poet Rilke in Letters to a Young Poet “So you must not be frightened, dear Mr. Kappus, if a sadness rises up before you larger than any you have ever seen; if a restiveness, like light and cloud-shadows, passes over your hands and over all you do. You must think that something is happening with you, that life has not forgotten you, that it holds you in its hand; it will not let you fall’. Follow your nature and trust your soul to guide you. The Ugly Duckling follows his nature and gets help along the way. One day, when his loneliness is at its peak, and he swims in a cold pond, he hears the cry of creatures that fly overhead, and his heart leaps. Their cries resonate somewhere deep inside him. He looks up, and sees the most beautiful creatures he has ever seen, and they cry down at him. His heart rises and breaks at the same time, and he feels a desperate love for these great white birds that he cannot understand. After they leave he is even more bereft. The swan’s cry of recognition is painful, because it is the cry of belonging and the cry of loss at the same time. The ugly duckling had seen his kind and his soul family had recognised him. But he was not yet ready to join his family. He had not yet recognised the swan in him, and he still had growing to do. How often have we been in this painful situation; when a part of us feels abandoned and another is moving forwards towards home and a sense of place? How many of us, because of a painful childhood or life experience that has dented our sense of self, find it hard to recognise our inner swan, our divine natures? This is what we must heal. Reminding us that early mothering and the sense of belonging activates in us innate wisdom, Pinkola Estes writes: “We all have a longing that we feel for our own kind, our wild kind. Something great and big in us longs to be connected again with this primeval mother, and the ugly ducking in us will go on, until we find it”. In conclusion, healing our inner orphan is recognising and loving the orphan within us that guides us toward finding our home. But it is of course important to do this in consciousness so that we are aware of the negative side of the orphan archetype which can keep us ‘orphan’ children all our lives by always projecting home onto others and repeating a pattern of finding ‘surrogate’ families to give us a sense of belonging. Instead of going within to find our home. We are all capable of recognising our ‘inner swan’ but often we need to ‘grow into it’, to grow into a sense of our essential self to be able to reach a place in our hearts when we can love ourselves unconditionally. Benig is a Psychoanalytical Psychotherapist, pre and perinatal psychologist, and writer. In private practice, Benig is a pioneer in human consciousness and travels internationally to lecture, teach and run workshops. Author of 'Songs from the Womb-Healing the Wounded Mother', 'Reclaiming Father' and 'Love in a Time of Broken Heart-Healing From Within', Benig combines her training and experience in Jungian depth psychology with spiritual awareness to facilitate soul healing.